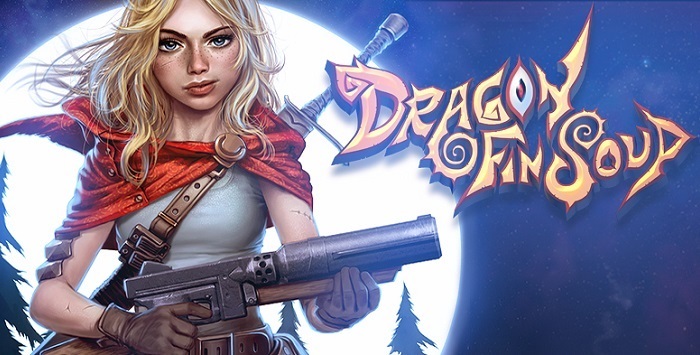 Everything you need to know about Dragon Fin Soup. Dragon Fin Soup is a brand new upcoming Action Role Playing video game with partial procedural generation and roguelike elements, that is currently being developed by the independent game developer, Grimm Bros. Dragon Fin Soup is the first game being developed by Grimm Bros and is likely going to be self published as well given its Kickstarter routes, unlike most Kickstarter games however, Dragon Fin Soup is receiving a varied multi-platform launch arriving on Microsoft Windows, OS X, Linux, PlayStation 4, PlayStation 3 and the PS Vita. There’s no launch date for the game just yet, but there is a planned Beta for the game that’s “coming soon”. It’s also not certain yet whether or not the game will see a retail release, it is however more likely going to be exclusively available as a downloadable title through the respective online stores. Dragon Fin Soup is another game that has come into being thanks to the succesful boom of the Kickstarter platform as a means of funding projects. Currently being developed by a small independent development team by the name of Grimm Bros, a small group of experienced developers. Grimm Bros first came to be founded in March of 2013 with the initial founding being handled by Human Hand’s ex-COO Ash Montif and by Randis Albion, a popular artist in the gaming space. Development of the game started at some time in 2014 after a successful Kickstarter campaign secured funding for the base title. With an opening asking price of twenty four thousand american dollars, the campaign was soon funded and the developers set about adding stretch goals to the project. The newly added stretch goals would see expansion material developed for the game as well as a number of other cost covering measures. Certain stretch goals were in place to help cover the cost of having the game ported to the three currently used Sony platforms, the PS3, PS4 and PS Vita. Following the games successful funding and having seen it reach a number of stretch goals, Valve approved of the game and so allowed it to be sold on their digital store, Steam. The game’s story is set in the fictional world of Asura which is a landmass that rests atop the back of a massive dragon turtle. Specifics of the games plot haven’t been revealed yet, but the game follows Red Robin, a character described as someone who is making ‘her living as a bounty hunter”. 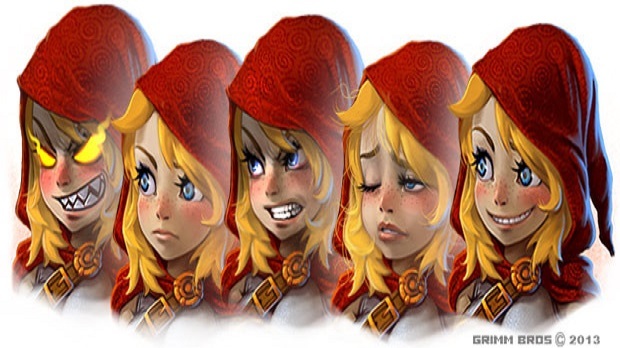 The official line for Dragon fin Soup is, to quote the developers, “Dragon Fin Soup is a charming, classic console RPG game served up with juicy chunks of Tactical Action, spicy Roguelike Flavors, and a side of twisted fairy tales.” The game has been confirmed to be a somewhat traditional role playing game with a number of influences drawn from the Roguelike genre that has seen a resurgence in recent years, once again thanks to the Kickstarter platform. The game is played from a top down, 2D perspective with the games turns being divided between player actions, which include making tactical combat decisions and movements, and enemy actions. A certain amount of the game is procedurally generated, but the extent of the procedurally generated content remains to be detailed. 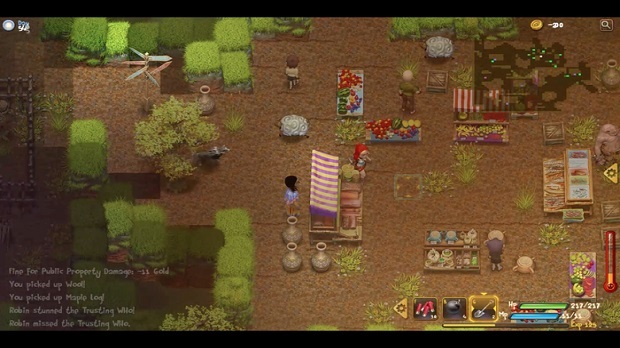 One of the two game modes offered in Dragon Fin Soup is the Survival mode which is thought to feature much of the game’s procedurally generated content. It will also feature permadeath, which was somewhat expected given the games roguelike inspirations. While there are randomly generated quests to lend the game some longevity, Dragon Fin Soup also supports a number of predetermined, scripted sequences. The story mode is thought to be where the scripted content will predominantly reside. Players can make use of numerous weapon types and take part in a number of tasks such as fishing and cooking etc. At this time, the only character we have any information about is Red Robin.